Destination weddings can be both exciting and stressful for couples and their guests. 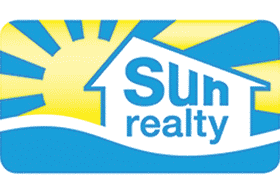 Let Sun Realty help you find the perfect venue or housing accommodations for your Outer Banks wedding. Whether you need a romantic and festive venue for your ceremony or reception, a beach cottage (or a few) for your guests, or a honeymoon destination for you and your new spouse, Sun Realty has a variety of properties to suit your needs. We also offer several homes in close proximity, to keep all of your family and friends close, but with room to spread out. Let us help you find the right venue for your Outer Banks wedding events.